iPhone maker now has 44 suppliers running on renewable energy only, including Foxconn. 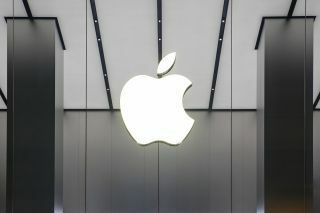 A total of 44 of Apple’s suppliers are now using clean, 100 per cent renewable energy, the company has announced. It’s been a year now since Apple committed to build all of its products on renewable energy, but although its facilities are ‘green’, some suppliers have had some work to do. The company said it has thus exceeded its goal of bringing four gigawatts of renewable energy into its supply chain by 2020. It expects to add an extra gigawatt before the deadline runs out. One of the ways Apple helps its suppliers achieve this noble goal is through its supplier education and support initiatives, which include the Clean Energy Portal. That is an online platform that helps suppliers identify renewable sources of energy, all over the world. Apple says that more than 100 suppliers have already registered on the site. It also launched a fund with 10 of its suppliers, to help finance renewable energy projects in China. “Every time one of our suppliers joins us in our efforts to address climate change, we move closer to a better future for the next generation,” said Lisa Jackson, Apple’s vice president of Environment, Policy and Social Initiatives.